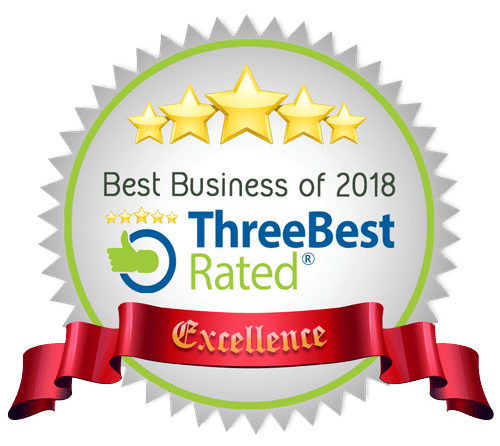 Bioelectrical Impedance Analysis (BIA) Applications | El Paso, Tx. 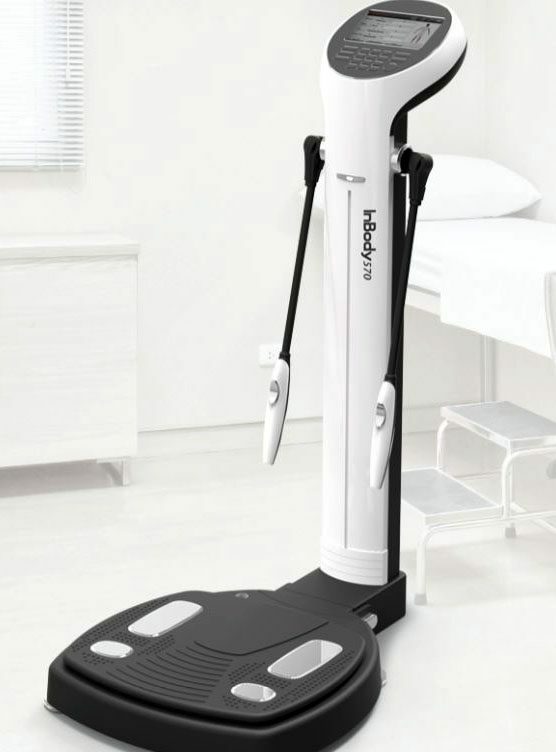 InBody devices use a method called Bio-electrical Impedance Analysis (BIA) to measure body composition. This divides your weight into different components, e.g., lean body mass and fat mass are utilized in the assessment of health and nutrition. If the human body was only water and nothing else, there would be no resistance. 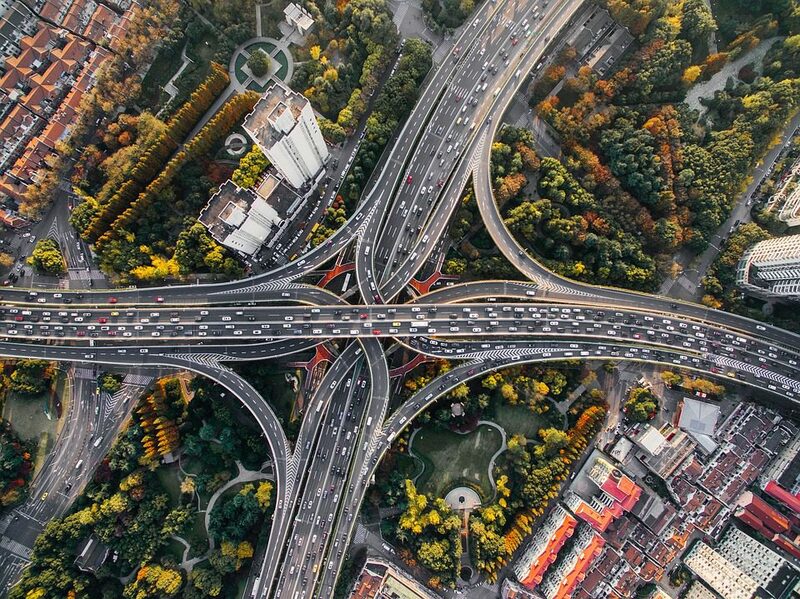 The more traffic gets onto the freeway, the longer it takes for you. This is resistance. Impedance is inversely proportional to cross-sectional area and directly proportional to length. Knowing the impedance and length of the cylinder, a measurement can be made of the volume of total body water. In the body, the same formula applies, where the length is the height. Calculation of the volume of the total body water can be made by knowing the impedance and height. This is why it's imperative to have correct height. Measuring impedance with electrodes creates contact resistance. InBody accounts for this by strategically placing electrodes to accurately measure. InBody uses multiple currents and varying frequencies. No empirical estimations are used to calculate body composition. 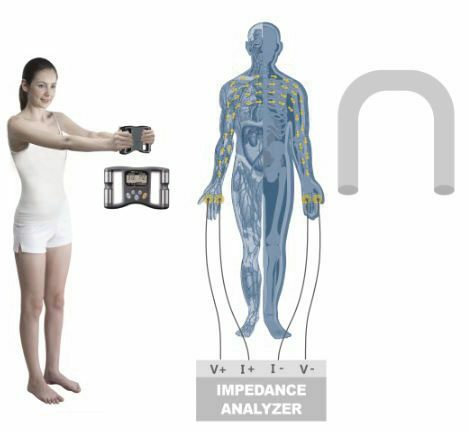 InBody measures impedance independently, so results are not affected by age, ethnicity, or gender. 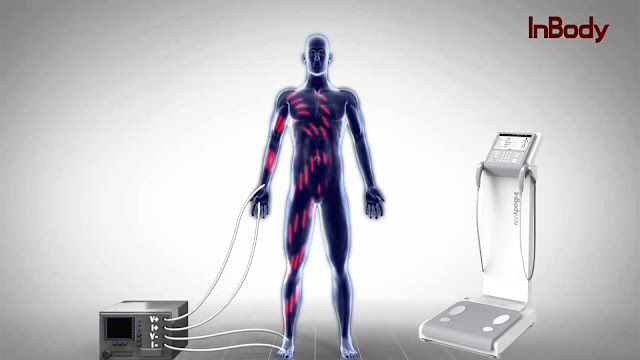 Traditional BIA systems view the body as a single cylinder and use whole-body impedance to determine total body water. It assumes the distribution of lean body mass and body fat are constant. The shape & length of the arms, legs, and torso differ so the body cannot be seen as just one, but five separate parts. Impedance is based on length and cross-sectional area, the calculation of TBW is inaccurate because each segment has different length and cross-section. One major problem with the one-cylinder method is the lack of a torso measurement. The torso has the lowest length and highest cross-section area. This results in a very low impedance (10-40 ohms). However, the trunk comprises about 50% of an individual’s lean body mass (LBM). In the whole-body impedance measurement, the torso impedance is ignored and so changes the body torso impedance. If the body torso is not measured separately then the impedance of the torso could be overlooked. 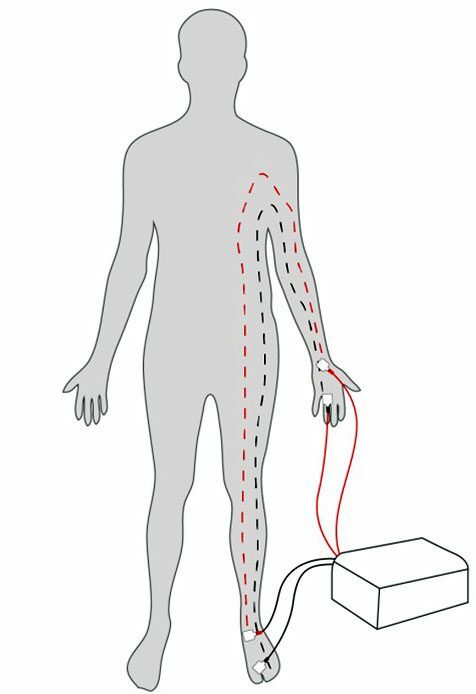 Because the body torso contains more water and muscles than the limbs, 1 ohm of torso impedance and 1 ohm of limb impedance can be completely different. A difference of even 1-2 ohms can lead to a significant error in the determination of TBW. Some BIA devices only measure the impedance values of two cylinders and estimate the rest. Some BIA scales only measure the legs. For BIA handheld devices, only the arms are measured. 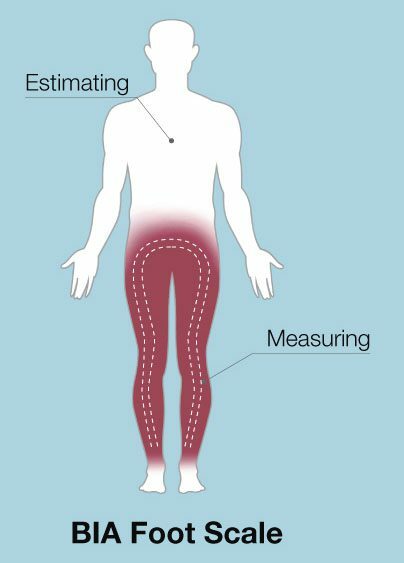 Some devices say they measure the whole body when they only measure one arm, one leg, and estimate the rest. 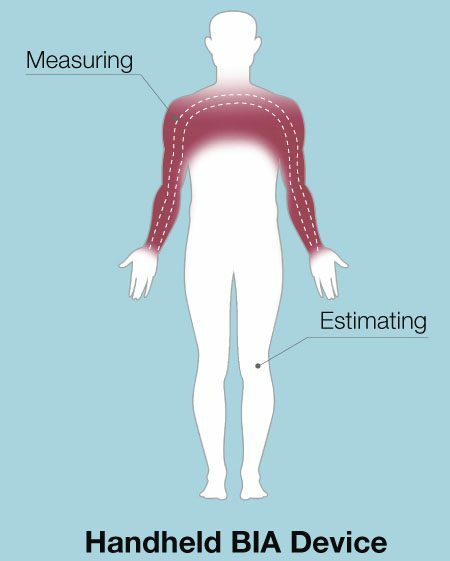 When using a BIA device, find one that actually measures the torso and measures it separately. Otherwise, the estimations can lead to large errors. 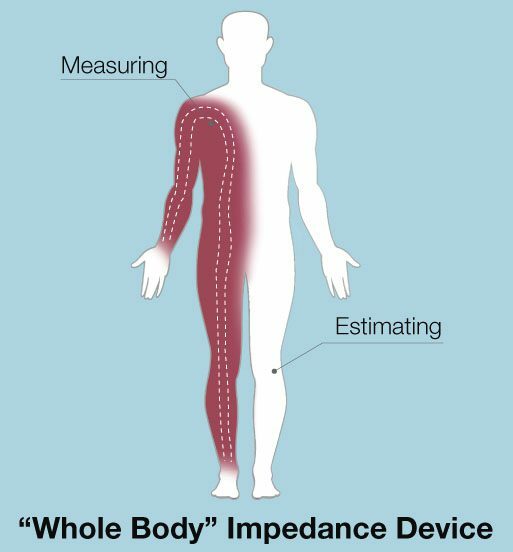 InBody devices do not estimate through Direct Segmental Multi-frequency BIA, which in simpler terms, which means that each segment of the body right arm, left arm, torso, right leg, left leg are measured separately. 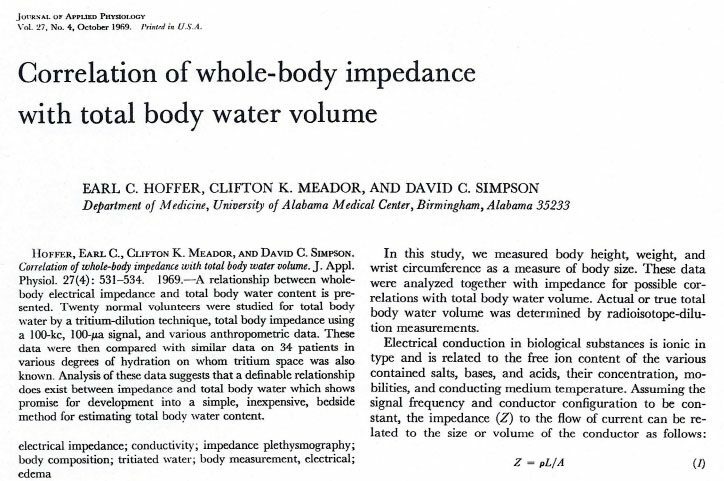 In 1969, Hoffer experimented to prove that total body water and biological impedance were highly interconnected. 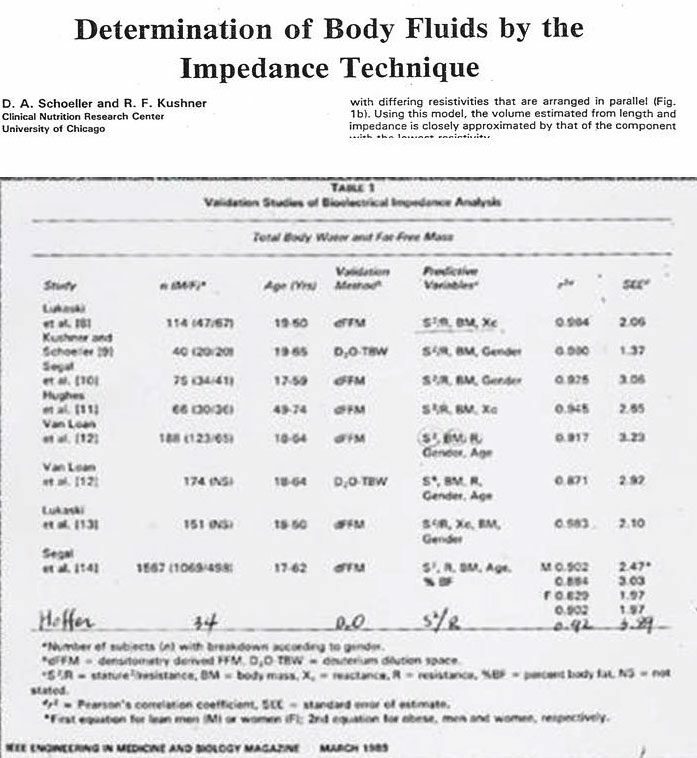 This meant that impedance measurement could be used to determine total body water. He showed the squared value of height divided by impedance was highly correlated with total body water. He took impedance measurements of the right half of the body. These included the right arm, torso, and right leg. The equation he proved is the impedance index used in Bioelectrical analysis today. In 1979, RJL Systems brought the impedance meter and the BIA method began. The device measured impedance through attachment of electrodes on the back of the right hand and on top of the right foot. 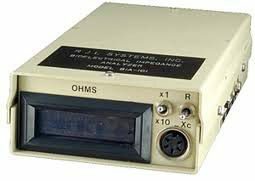 A current of 50kHz was run through the right half of the body. Before this, body composition could only be measured with calipers or underwater weighing. These techniques had to be carried out by skilled people and was not easy. Only specific types of patients were able to benefit from them, as well. However, this was fast, less expensive and less intrusive. Thus, body composition analysts, nutritionists, and medical experts started using BIA technology. Lukaski, Segal and other scholars are the ones that accelerated the evolution of BIA. Their studies proved that BIA had a high correlation with top standard methods, e.g., Underwater Weighing and DEXA. However, there were technical limitations with BIA which surfaced towards the end of 1980s. A common limitation was that BIA would assumed the human body was a cylinder shape and so only used a single frequency of 50 kHz. Through research, various equations evolved (along with the impedance index). This complemented the technical limitation of BIA and was able to achieve greater accuracy for patients of different age, gender etc. This increased the accuracy of the results. Age to calculate a person’s body composition. Empirical data is defined, as knowledge acquired by means of observation or experimentation. By collecting data on a sample population that (hopefully) represents the variance of the entire population, researchers attempt to derive trends that may be used to predict outcomes. Although empirical estimations could give you an accurate estimate of a general user’s body composition, there are significant problems when they are used for medical purposes. Suppose there is a device that uses empirical equations to calculate TBW. And there are two individuals who have same amount of lean body mass, however, one is 30 years old and the other is 40 years old. 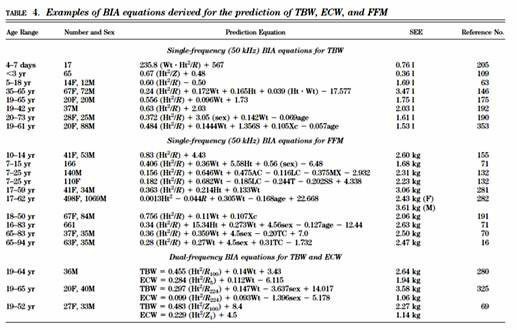 Even though they have the same amount of LBM, the empirical equation will calculate that both will have 0.8 L difference in their TBW. This only because of age, which is not fair or accurate. Because of technological limitations, BIA devices turned into home devices instead of hospital devices. Then Japanese manufacturers released a variety of BIA body composition devices that the general public could easily use. Some measured the impedance between two feet while standing on a scale. Others would hold the device and then measure the impedance between the hands. Since the torso makes up 50% of lean body mass, Kushner emphasized measuring the impedance of the torso separately would be very significant. Measuring total impedance alone is not sufficient. 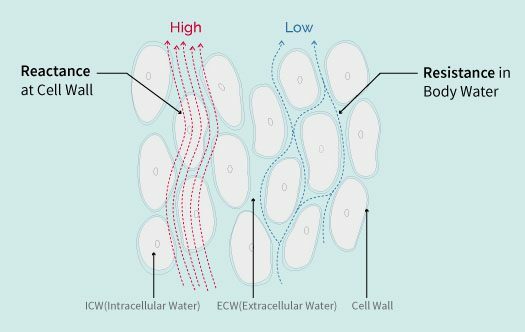 However, when all five parts are measured separately at different frequencies, then a distinction between extracellular water and intracellular water can be made. In 1996, Dr. Kichul Cha, a bioengineer from Harvard Medical School, develops the first 8-point electrode system with direct segmental analysis, which measures impedance for the five cylinders of the body at multiple frequencies. This allows separate checking of torso impedance. With this technology highly accurate results, without using empirical data, were able to be yielded. 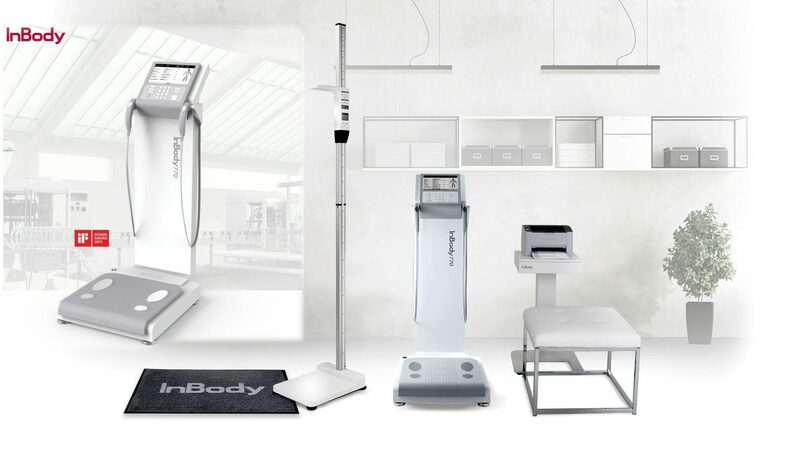 InBody body composition analyzers became precision based medical devices. Impedance values for all of the body's cylinders can be found on the InBody Result Sheet. Many BIA products today provide muscle mass for each section of the body. However, you can see the impedance values of all five parts of the body with the use of both high and low frequencies. Body composition analysis lends itself to a number of techniques depending upon the specific needs of your patients. 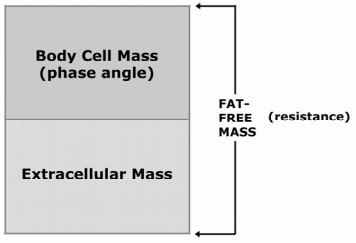 Two-Compartment Mass Model: The two-compartment mass model divides the body into Fat-Free Mass and Fat Mass. 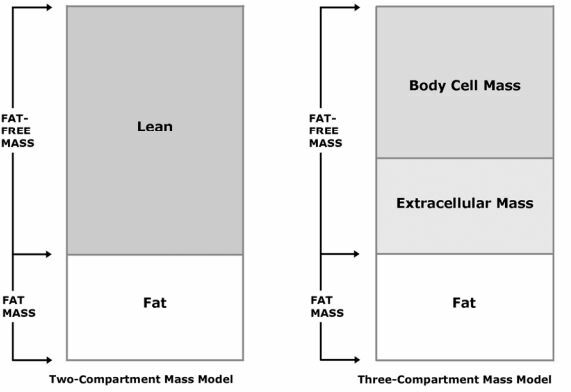 This simple model is useful when evaluating basic nutritional, fitness, and weight management needs of patients. This model is often used in support of nutritional counseling and monitoring changes associated with aging. Appropriate for full range of patients. 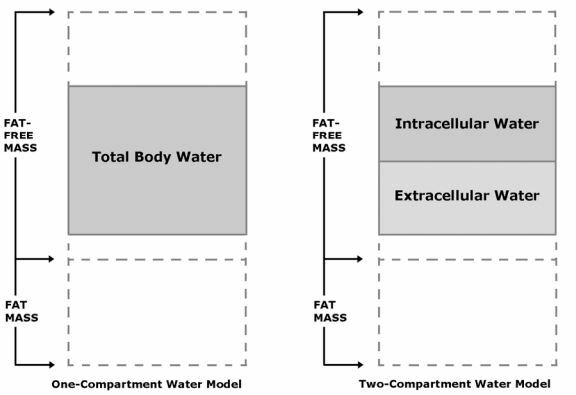 One-Compartment Water Model The one-compartment water model accounts for Total Body Water (TBW). 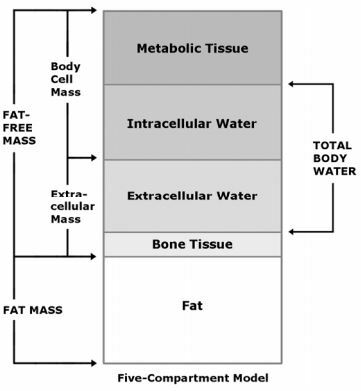 Total Body Water is the sum of Intracellular Water plus Extracellular Water and is wholly contained within Fat-Free Mass. Normally, about 73% of Fat-Free Mass is water. This model is handy for evaluating basic hydration status of patients. 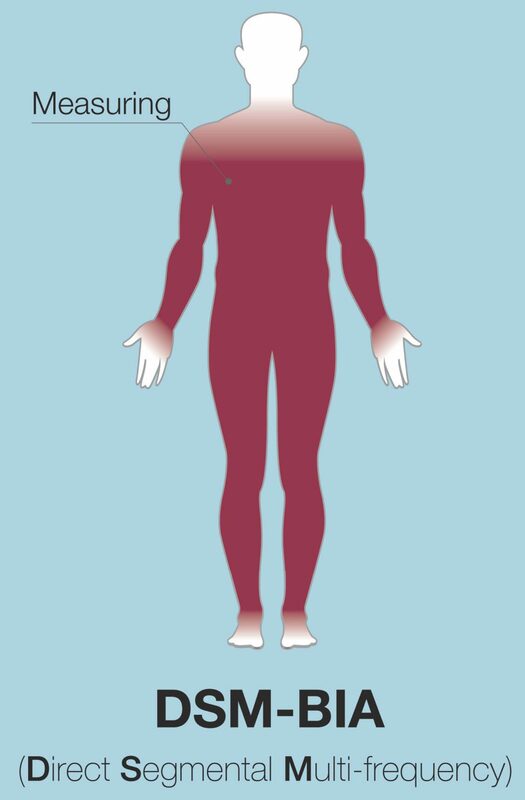 This model is often used for the assessment of fluid balance associated with the treatment of conditions in a clinical setting. The United States has long recognized obesity as a serious health condition. In February 1985, the National Institutes of Health (NIH) in its Consensus Development Conference Statement (1) declared "The evidence is now overwhelming that obesity, defined as excessive storage of fat, has adverse effects on health and longevity." Obesity has long been associated with health risks. While the specific mechanisms linking obesity to health risks are not fully understood, recent research focused on genes that express only in fat tissue has shown promise. These genes code for hormones associated with insulin resistance and cardiovascular plaques. The obesity epidemic continues to grow unabated in the United States (2,3). Now, it has become a serious health problem in "both developed and developing countries in the Western Pacific Region of the World Health Organization" (4). A useful definition of obesity is "excess fat mass resulting in mechanical or hormonal stress on the cardiovascular system, organs, and muscular-skeletal system." Fat Mass that is greater than 25 percent for males or greater than 30 percent for females. Mechanical Reduction We recommend a two-step approach to normal function. The first step is weight reduction to relieve mechanical stress on body systems. Measure the Basal Metabolic Rate (BMR). Estimate total daily caloric expenditure = BMR * 1.2. Set dietary intake = caloric expenditure - 700 calories per day. Continue diet until BMI = 30. NOTE: The initial dietary intake for obese patients will appear to be very high. For example, a patient weighing 300 lb with 40 percent body fat will have a basal metabolic rate of 2550 calories, a total caloric expenditure of 3060 calories, and dietary intake of 2360 calories per day. The second step is to decrease the ratio of fat mass to fat-free mass to reduce the incidence of fat-related hormones. Continue with a healthy diet. Measure the basal metabolic rate and fat-free mass. Estimate caloric expenditure = BMR * 1.2. Set dietary intake = caloric expenditure - 500 calories per day. Continue until percentage fat mass reaches optimal level. NOTE: Exercise is important in BIA because weight loss from dieting alone is comprised of 45 percent fat-free mass and 55 percent fat mass per pound. Exercise can alter this ratio to 25 percent fat-free mass and 75 percent fat mass. 1. NIH Consensus Conference Statement, Health Implications of Obesity. Annals of Internal Medicine, 1985; 103 (6 pt 2):1073-1077. 2. Mokdad AH, et al. The spread of the obesity epidemic in the United States, 1991 - 1998. Journal of American Medical Association, 1999; 282:1519-1522. 3. Blackburn GL. Managing obesity in America: An overview. Advanced Studies in Medicine 2002;2(2):40-49. 4. 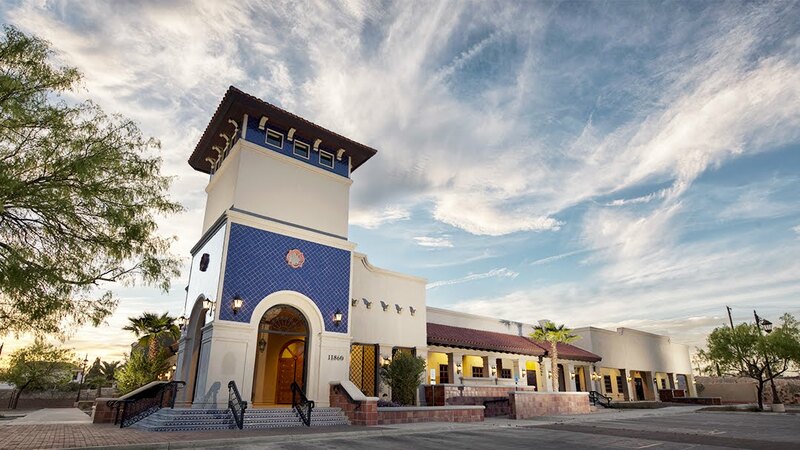 Regional Office for the Western Pacific of the World Health Organization, the International Association for the Study of Obesity and the International Obesity Task Force. The Asia-Pacific perspective: Redefining obesity and its treatment. Health Communications Australia Pty. Limited, February 2000.
analysis Application BIA Bioelectrical El Paso Impedance tx. Labels: analysis Application BIA Bioelectrical El Paso Impedance tx.